The new SIDIT-UBC Okanagan Co-op Grant was officially announced Monday at the Kelowna campus. Front row (from left): Luanne Chore, CEO of SIDIT; Grace McGregor, Board of Directors Chair for SIDIT; Cynthia Mathieson, UBC Okanagan Provost and Vice-Principal Academic; Claudette Everett, Vice Chair for SIDIT; Pam Deveau, SIDIT Director Corporate Resources/Corporate Secretary. Back row (from left): Aimee Watson, SIDIT Board member; Philip Barker, UBC Okanagan Vice-Principal Research; John Zimmer, SIDIT Board member; Ginny Becker, SIDIT Program Manager for Business Advisory Services. The pilot program makes available grants of up to $5,000 to qualifying businesses in the Southern Interior region of B.C. looking to bring on a co-op student from the pre-screened talent pool for the first time. UBC Okanagan Co-op Education has expanded this year to include students studying diverse subject areas—everything from arts and sciences to management and human kinetics—in paid work opportunities across the province and beyond. This program builds on SIDIT’s ongoing support of UBC Okanagan students through its bursary and scholarship program, with a total investment exceeding $400,000. “This is an exciting initiative, SIDIT is proud of the ongoing work to expand SIDIT’s relationship with UBC Okanagan. This program will greatly benefit both businesses and students in the Southern Interior,” said Grace McGregor, Chair SIDIT Board of Directors. “We are looking forward to working with UBC Okanagan on this initiative,” said Luanne Chore, Chief Executive Officer of SIDIT. 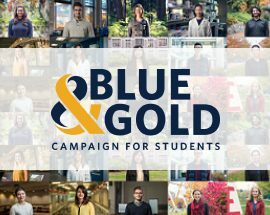 The goals of the grant program are to develop co-op experiences and opportunities, encourage small- to medium-sized enterprises in the Southern Interior to hire a co-op student, support regional resident recruitment efforts by helping students access employment off-campus, as well as create a bridge between communities and the Okanagan campus of UBC. Preference will be given to small- to medium-sized enterprises that fit within one or more of the following categories: start-ups, family businesses, rural municipalities with a population less than 25,000, entrepreneurs, employers in remote communities, manufacturing and agricultural operations with less than 50 employees, and non-profit organizations. The program has a particular focus on co-op work experiences that demonstrate direct impact and community development around agriculture, forestry, pine beetle recovery, transportation, tourism, mining, small business, economic development and energy matters. The Southern Interior Development Initiative Trust was created by an Act of the BC Legislature in 2006. SIDIT received a one-time allocation of $50 million from the Province of BC designated for strategic investments in sustainable economic development initiatives throughout the southern interior of British Columbia. The Southern Interior Development Initiative Trust Act mandates investment in ten areas of the economy. These areas include Energy, Forestry, Mining, Olympic Opportunities, Agriculture, Transportation, Small Business, Tourism, Pine Beetle Recovery, and Economic Development. SIDIT is managed by an independent Board of Directors comprised of thirteen members – eight elected municipal officials and five BC Government appointees from the SIDIT Region. SIDIT is focused on supporting economic development initiatives that will demonstrate long-term measurable economic impact within the Southern Interior. UBC Okanagan co-op is committed to enriching education and extending classroom learning to the workplace in diverse opportunities from a broad range of sectors (public institutions, non-profit agencies, large corporations, entrepreneurial start-ups and NGOs) in the Okanagan Valley and beyond. Co-operative education supports students with valuable experience and community partners with a simplified search for great talent—improving the socio-economic health of the communities throughout the Southern Interior of B.C.